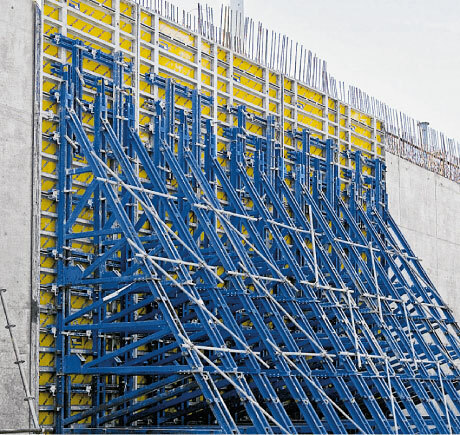 'Supporting construction frames' enable the concreting forces to be safely transferred by way of diagonal anchors in cases where it is not possible to tie wall-formwork elements through the concrete. 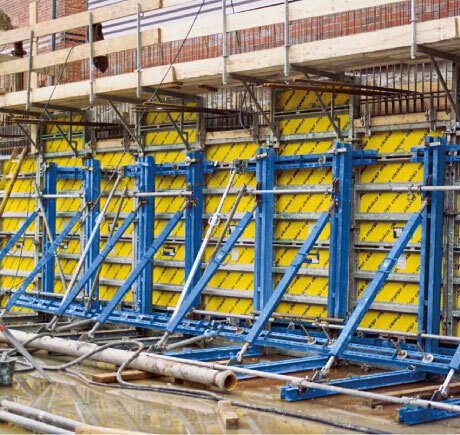 Combining extra-large Framax Xlife panels with the Supporting construction frame Universal F makes it possible to pour even very high walls in one continuous operation. 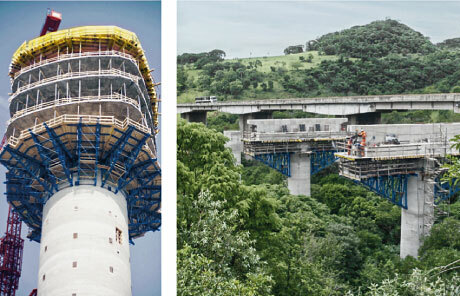 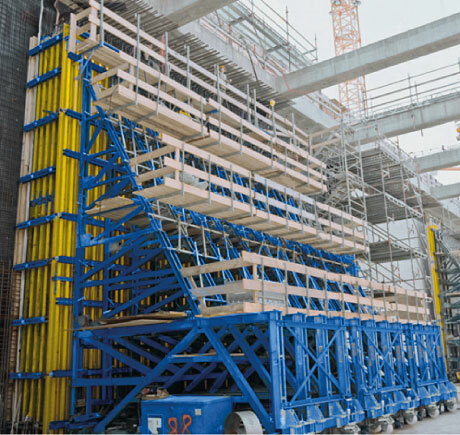 Positioned in the horizontal and anchored to the structure, Supporting construction frames can be used to make heavy-duty platforms for formwork assignments at lofty heights. 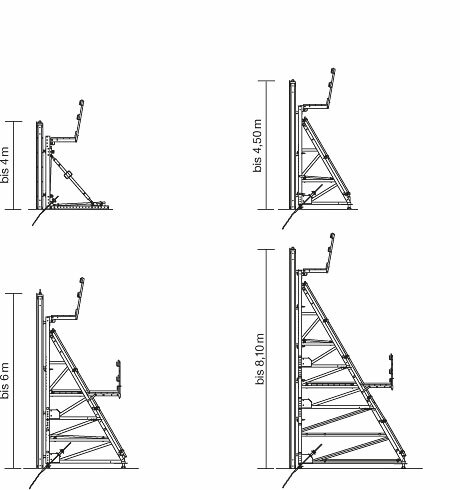 Thank you for your interest - Supporting construction frame. 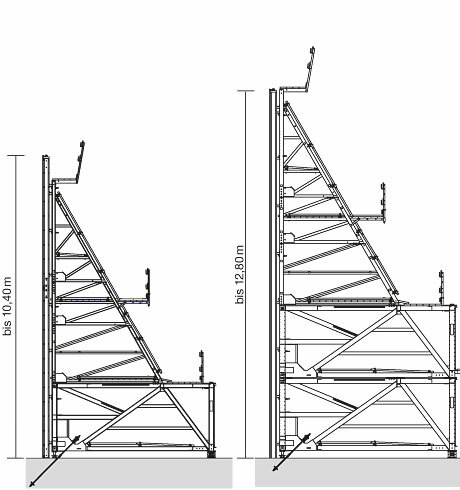 Thank you very much for your interest - Supporting construction frame.